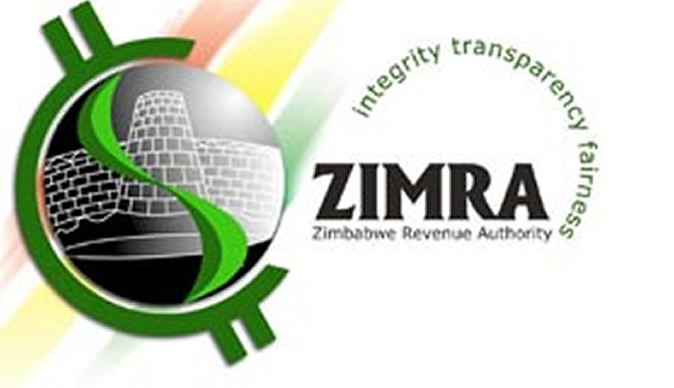 The Zimbabwe Revenue Authority (Zimra) has been prejudiced of over US$335 000 in potential revenue by bogus clearing agents who falsified documents and managed to clear an assortment of imported goods destined for Harare with the assistance of corrupt officials within their ranks. Investigations revealed that the clearing agents on various occasions this year smuggled goods using various companies and fake bill of entries. The scam was unearthed by an alert Zimra official. Duty for various goods including generators, paint, tyres and clothing was not paid through the system as some workers at the Zimra offices in Harare involved in the deals claimed duty had been paid for the goods. One of the companies (name withheld) that imported goods from South Africa got fake documents for bill of entries in order to claim value added tax at the Zimra offices in Harare. The bond letters for goods imported by four companies all originate from the same freight company and were issued by the same person. Matabeleland South police spokesperson Inspector Philisani Ndebele said police were handling the case, but could neither confirm nor deny whether any arrests had been made. “I can confirm that we are handling a smuggling case of that nature involving about US$335 000, but the finer details are not yet available. I am waiting for a fax that has all the details,” said Insp Ndebele. A police record from Beitbridge Border Control Unit (CR 164/11/13) reveals that one such case was reported on November 16, 2013 at 9am. The accused was charged under the Customs and Excise Act Chapter 23:02 for smuggling various goods. According to impeccable sources, the smuggling syndicate would use Zimra customs bonds where goods can be imported into a licenced bonded warehouse and kept there for a certain period before payment of duty. The goods remain in the warehouse until duty has been paid, but the clearing agents, with the help of Zimra officials, managed to get the goods out without any duty being paid after using fake bond letters. “The assumption was that the goods were bonded at a warehouse in Harare yet, in actual fact, they never reached the destination at all. Fake documents were used and no duty was paid for the goods,” said the source. Contacted for comment, Zimra director for legal and corporate services Ms Florence Jambwa said she was not at liberty to divulge any information. “I acknowledge receipt of your questions and wish to comment as follows; the Zimbabwe Revenue Authority (Zimra) is precluded by the Revenue Authority Act [Chapter 23:11] from divulging specific information about its clients to a third party. “I am, therefore, unable to comment on the issues you have raised,” she said. Zimra has intensified measures to curb rampant smuggling. The measures include border patrols, roadblocks, site visits, post importation audits, scanners, physical searches, whistle-blowers’ initiatives and cargo monitoring. According to Zimra, commonly smuggled goods include bales of clothing, footwear, tobacco and cigarettes, banned skin lightening creams, blankets, hair and skin preparations, groceries, motor vehicle spares and electrical gadgets.